Whether you’re experiencing problems with your current garage door or have purchased a new one for your home, there are times when you need assistance with your garage door. Because a garage door is such a large object, trying to install one on your own is not recommended. Instead, get in touch with us, and we will be able to provide you with prompt assistance and reasonable rates. There are several reasons why we’re the best choice when you’re in need of assistance with your garage door. First, we are very experienced. 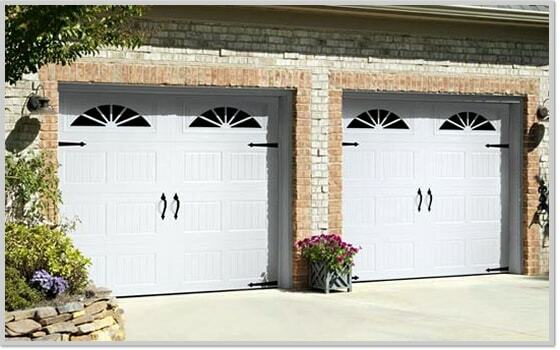 We have serviced a countless number of garage doors, so we know exactly what we’re doing. Next, we are very professional. We value our reputation, and believe in doing our best work for each and every one of our customers. When you work with us, you can always count on having quality work done to your garage door. We’re also very prompt. No one likes to be stuck with a garage door that they can’t open or shut. When you get in touch with us, we will respond to you as quickly as possible. There are a lot of potential problems that can be caused by a garage door that’s not working properly. If your garage door won’t open, it can impede you from being able to get your car out. If it won’t close, it leaves your garage exposed. This can lead to people stealing from your garage or your belongings being damaged by the elements. If your garage door is functioning in a haphazard manner, it can present a potential physical danger to anyone who is near your garage. Without any experience or training, trying to install a new garage door can also be a very dangerous task to undertake on your own. Contact Accurate Garage Door Service in Las Vegas, Summerlin, Green Valley, Henderson and North Las Vegas, when you need a new quality garage door and professional installation.